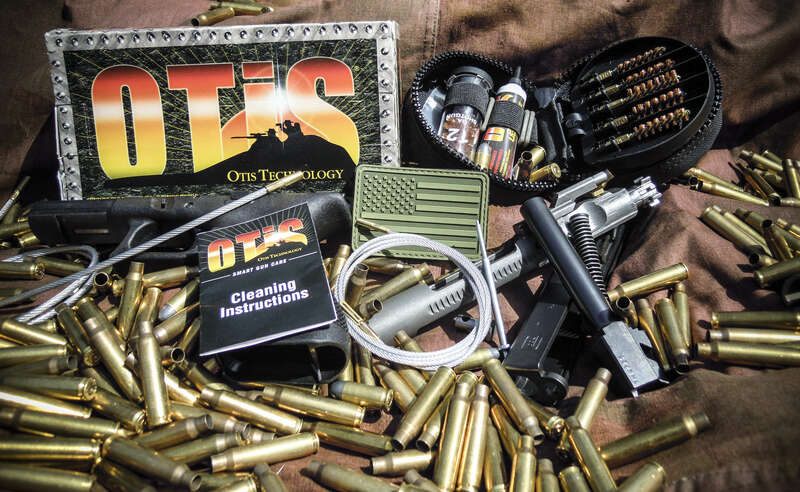 The weapons OTIS cleaning system is radically different from any other on the market. To properly clean a weapon you have to start from the breech to the muzzle. Otherwise it may bring the carbonaceous residues from the muzzle of the barrel and, at the stroke end, what has been removed would end in the cartridge chamber. 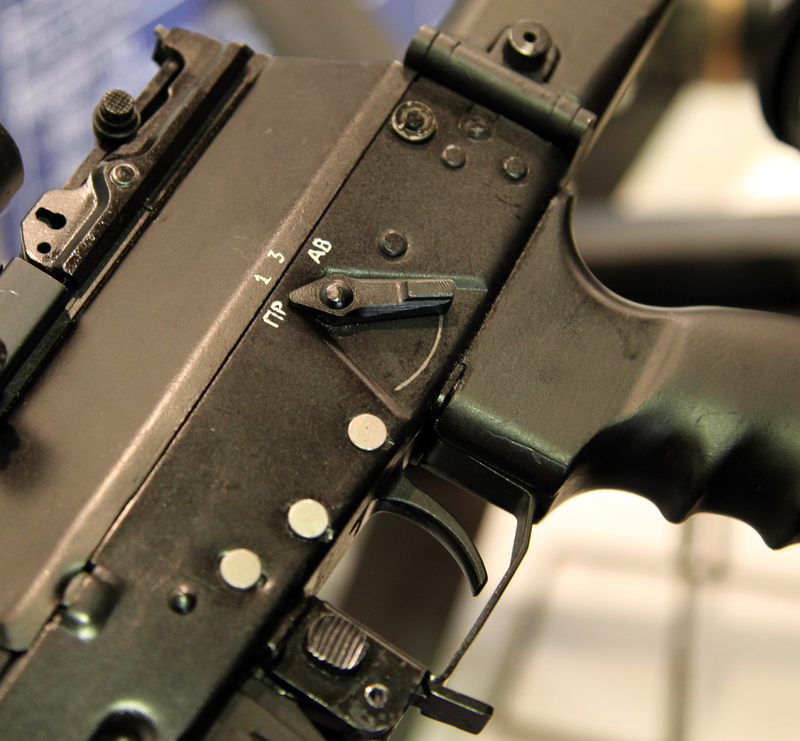 The use of rigid pipe cleaners may damage the muzzle, affecting accuracy. 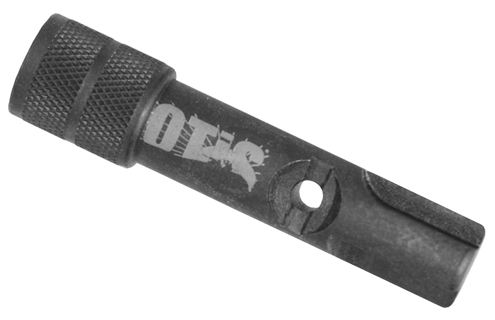 For these and other reasons OTIS has developed a special cleaning system that follows the direction of the bullet called breech-TO-MUZZLE. Each kit contains MEMORY FLEX ROD, a steel wire coated with nylon capable of resist to more than 340 kg / 750 lbs of pulling force that as well as allowing a cleaning Breech-to-Muzzle, unlike traditional rigid pipe cleaners, perfectly follows the rifling of the weapon, providing a deep cleaning. 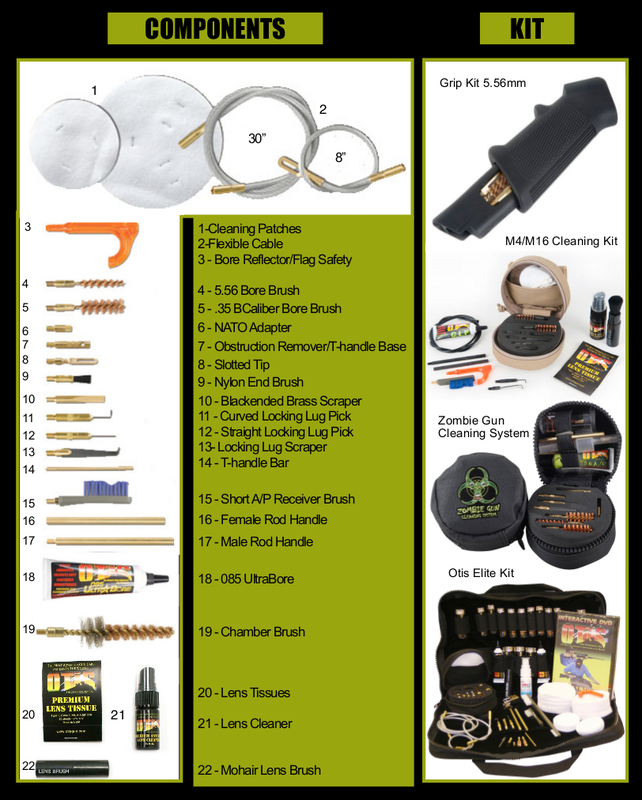 This kit allows you to clean from .22 to .50 cal. Finally, the strengths of KIT are the specific brush and its completeness: it contains everything you need to clean the gun and optics. It also allows to solve stoppage and, for a safe handling of the weapon, contains a warning of cartridge chamber empty. Finally, the kit includes a DVD instruction. 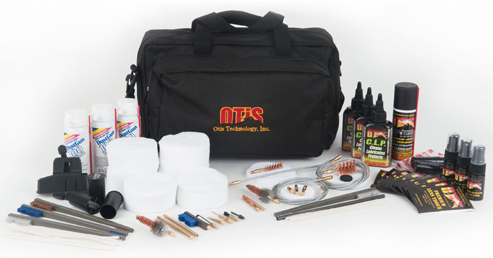 Otis manufactures a wide range of cleaning kit for all uses and for all budgets. 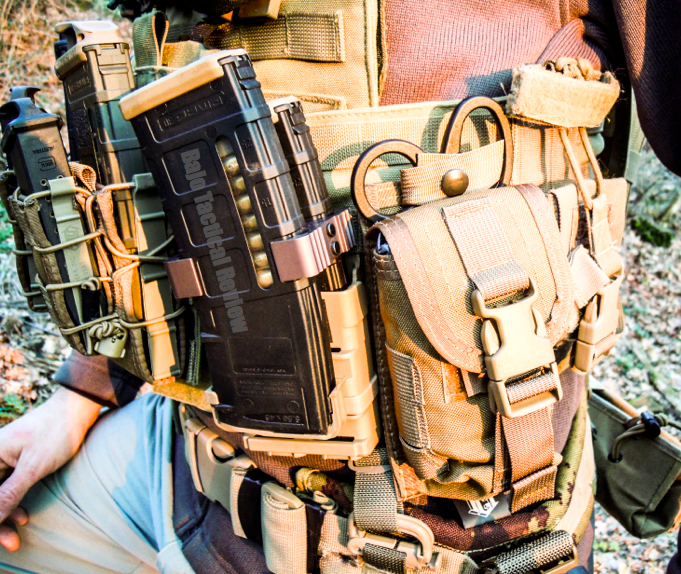 It starts from the minimalist kit to be inserted into the pistol grip up to box such as the ”Small Arms – Armorer’s tools” and ”Couf” (Fight Combat Operations Utility) that contain all the necessary. Categories include Kit for Hunting / Sports, Law Enforcement and Military. For all employees of the security sector a must to have on each vehicle. . . Indispensable accessory for owners of M4/M16 allows you to easily clean the bolt, carriage bolt carrier and firing pin. It also presents a thread to be used as a handle for a pipe cleaner (8-32 threaded hole). 2014 Bajo Tactical. All Rights Reserved. The Bleeder/Blowout Pouch is small but extremely useful (it may save a life) Pouch made by High Speed Gear and allows you to have readily available the basic necessities for treating traumatic injuries and massive bleeding. A Bleeder / Blowout Pouch is not intended as a substitute to the first aid kit but must serve only for the treatment of massive hemorrhage. If you will be using the kit will probably in a situation of high stress, probably in inconvenient locations, with the sensitivity of the hands reduced by tactical gloves/situation and perhaps using only one hand. The concept with which we have to set it up is that if you lose a few seconds more to get an item there can cost you your life then this item will must be included in the kit on the contrary, if the use of an item can be delayed slightly (tens of seconds) then the item will have to find a place in our First Aid Kit and not in the Bleeder Kit. 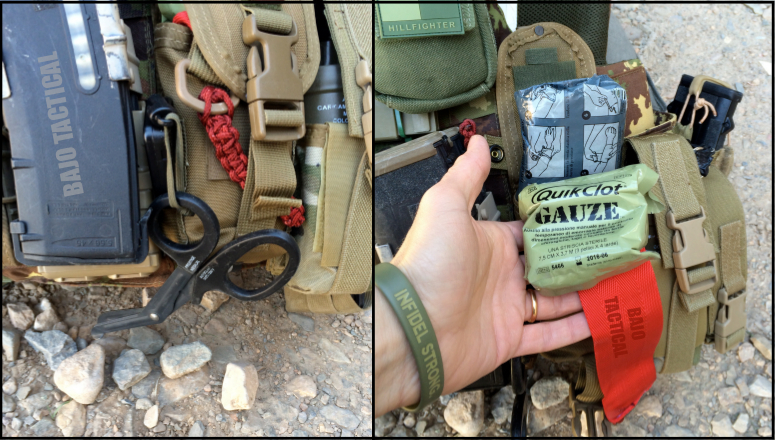 QuikClot Gauze, Israeli Bandage, Medical Shears. 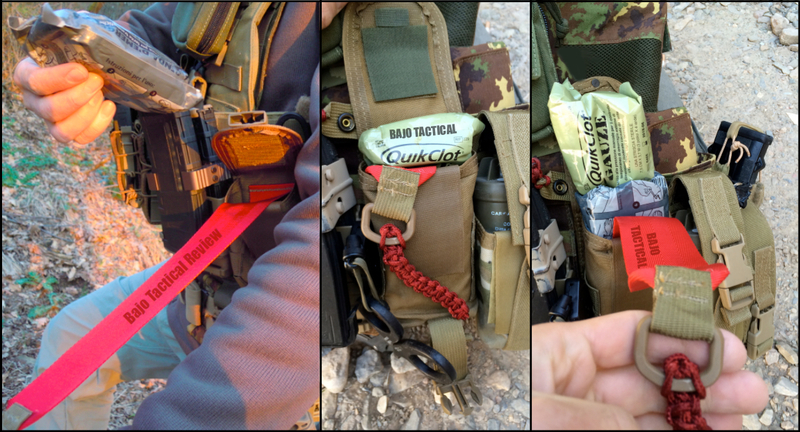 I use the (essential) tourniquet on the center of the chest and i put a second one in the pocket on the shoulder as the SOP (read the article here), otherwise you may attachment it on the 2 sides of the pouch via rubber bands. In each case the configuration up to the operator and must be configured only with items that you know how to use and which are indispensable! Externally, I added a small piece of velcro for medical patches, a strip of red paracord to increase the grip on the Quick-Pull strap, and another small insert of red paracord on medical shears strap and snap. I also added in a side a Retractable Scissor Leash; very useful because the Medical Shears can be used over and over again and the use of a Retractable Scissor Leash is the only way to be sure you do not lose it. Thanks to the 2″ wide Quick-Pull strap (high visibility red) the contents of the pouch can be reached in a moment, and even with one hand. -Constructed and made totally with products from in the USA . In conclusion the Improved Bleeder/Blowout Pouch is an excellent product of HSGI. Severely tested by myself has proven reliability and confirmed the need to always have it with me. The Bleeder/Blowout Pouch certainly accompany me yet for many years in Bad Lands . . .
Well done High Speed Gear ! ! 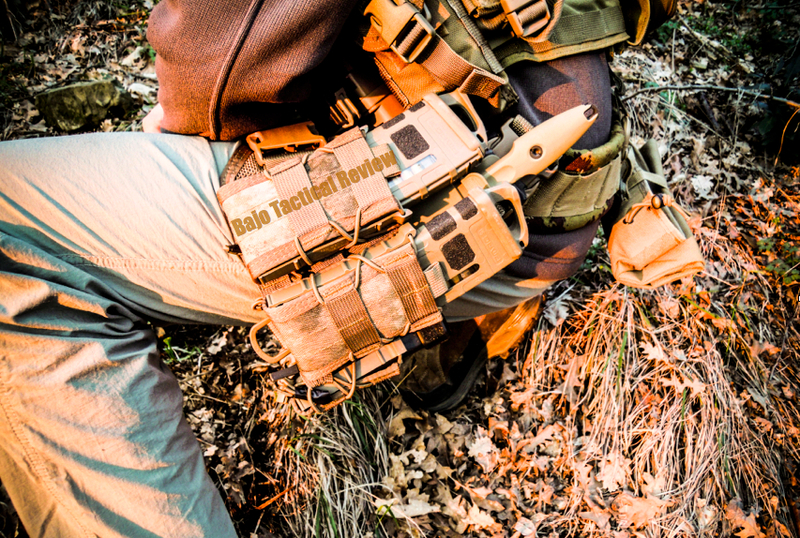 Bajo Tactical holds no responsibility for improper use of the techniques described and possible damages derived from them. With the evolution of the international situation and the introduction of asymmetric conflicts arises the need to have an ammunition capable of eliminate the modern threats of suicide terrorism. The 300 BLK is in an intermediate position between the 5.56×45 and 7.62×39 ensuring a greater power of arrest compared to 5.56 and better ballistics than 7.62×39 and also has better subsonic performance than the 9 mm. The 300 BLK presents then with high stopping power and a reasonable accuracy over short distances; is optimal for use with a sound suppressor and was created by Advanced Armament Corporation in cooperation with Remington Defense. 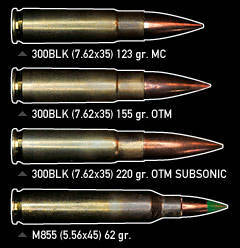 The US Military rates the Max Effective Range of the M4 as 500 meters for a point target. 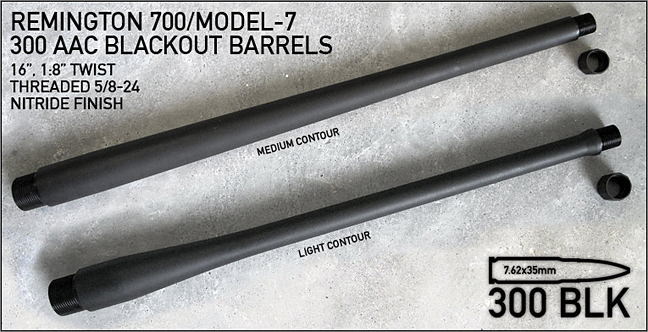 If the max effective range of the M4 with M855 at 2900 fps is 500 meters, than has 100 inches of drop, 41 inches drift, and 291 ft-lbs of energy at that distance. While the 300 BLK has far more energy, the military goes by hit probability. so 440 meter max effective range for 9 inch. Also using a silencer there is an increase in the cyclic rate of fire of only 16 % with 9-inch barrel compared to 34% of M4 in 5.56 mm with 10.3 inch barrel. 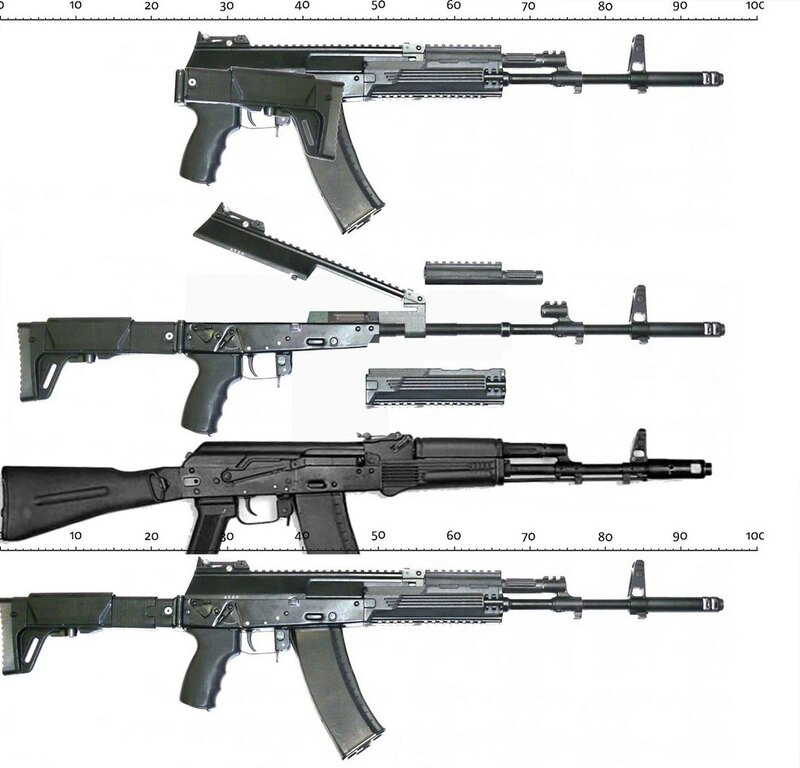 The adoption of the AK-12 by the Russian Army in 2014 is part of the plan to modernize the army that also provides for the adoption of new assault rifles, handguns, machine guns and sniper rifles. 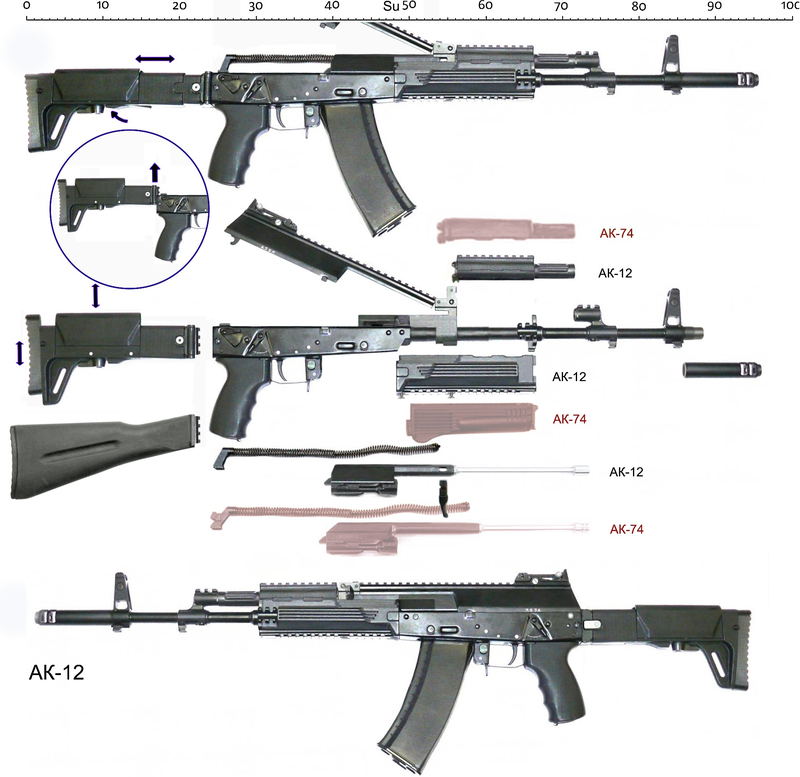 Kalashnikov AK-12 automatic use a long stroke gas piston & a rotating bolt. Fire in semi, 3 round burst, and full auto. Rate of fire in full auto is 600 or 1000 with 3 round brust. Effective Range is 874 yard (800 m). The feed system is with 30 round Mag, new 60 round casket Mag or 100 round drum Mag. 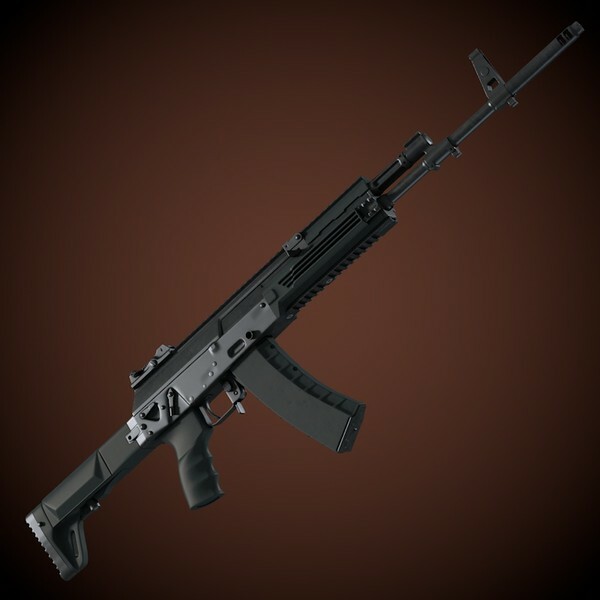 In conclusion, the AK-12 has brought the timeless AK 47 in the future with a Modular System completely ambidextrous & 20 different modifications of the weapon. The design incorporates elements of new and old while keeping unchanged that feeling of raw strength that a good AK communicates. The name PUGIO derives from the short-sharp Roman dagger. The cuttlebone shaped handle recalls the long Caucasian knives. 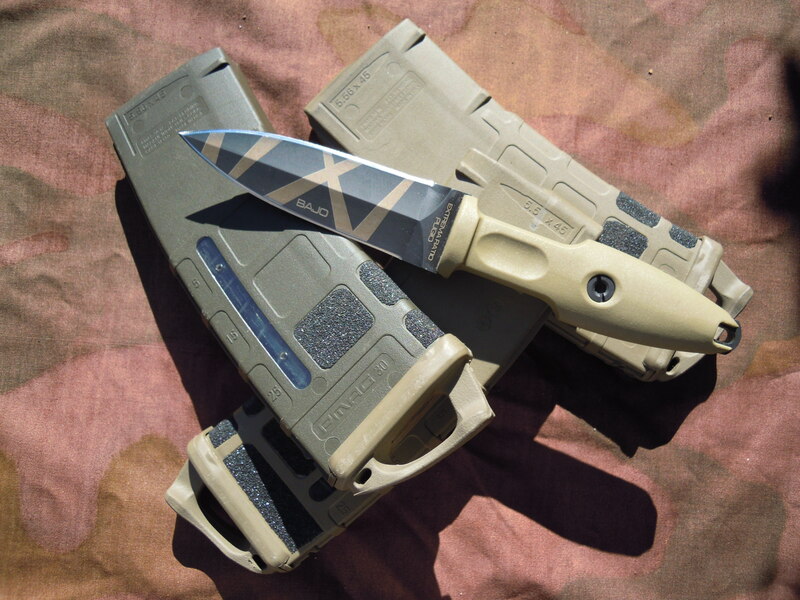 This boot dagger is a defense back up knife; the perfect choice for concealed carry. The blade has a hollow grind and the lack of guards avoid entanglement during close combat. 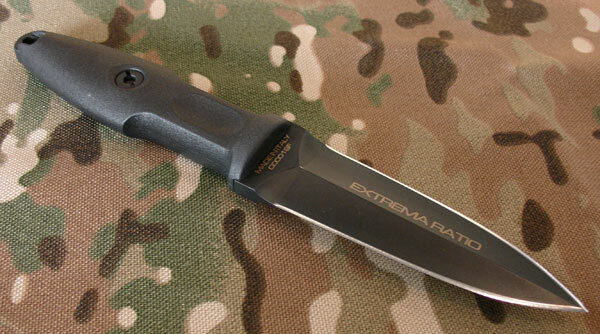 The hard sheath has an automatic retention system and comes with belt-lock. Immediately gives the impression to hold in hand a lethal weapon. Extremely balanced, dual sharpening makes it highly dangerous the small size makes it easy to handle and extremely insidious.